When you’re getting married, among the most vital things you need to prepare is your wedding rings. Remember that you and your partner will wear this ring for the rest of your life. You need to ensure that you are going to make a wise decision when choosing these. Use the following tips as your guide. The metal of your engagement ring and wedding ring should be the same. Since you are going to wear the engagement ring and wedding ring together, you need to make sure that their design complements each other. They may look the same when they’re brand new but they wear differently so they may not look the same after several years. Jewellers can also give you some suggestions regarding this matter. Contact them now for more information and for answers to all your enquiries. The rings should have something in common. Your wedding ring and engagement ring don’t need to exactly match each other. If you still prefer a different design, just make sure that there are at least one or two elements that are the same. For example, they can have the same gemstone or probably the same setting for the diamond. Your wedding ring doesn’t have to match with your partner’s. Take note that there are different factors you need to consider such as your partner’s preference in style and his daily routine. One of you might have a job where you use your hands most of the time while the other one works in a comfortable office. This is one instance where one of you may need to consider choosing a wedding ring that is made of a sturdier metal to ensure that it will not be prone to damage while working. Your entire wedding budget should not just be for purchasing a wedding ring. Remember that there are other things you need to spend on. You also don’t want to be broke after your wedding. Set a budget and don’t go over it. Start your search early so you can focus on other aspects of your wedding. 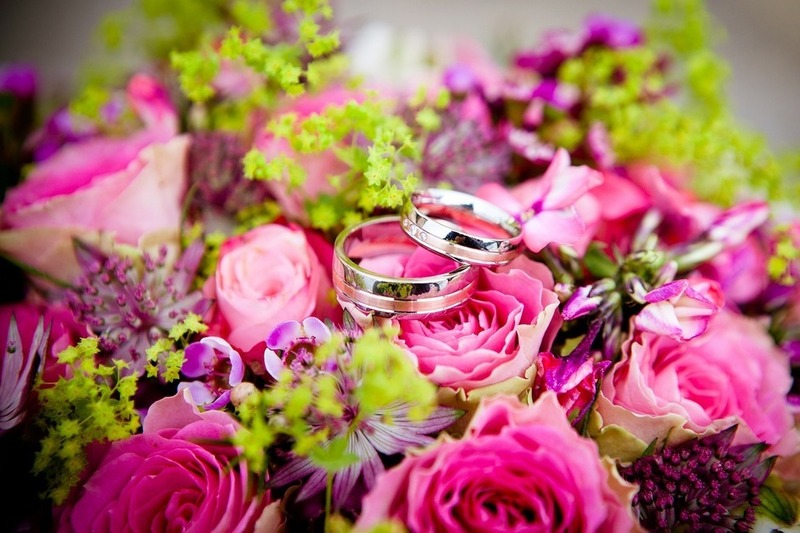 With the tips we’ve discussed, you can find the perfect set of wedding rings. If you need more ideas, you can always visit your favourite jeweller’s Official Facebook Page.